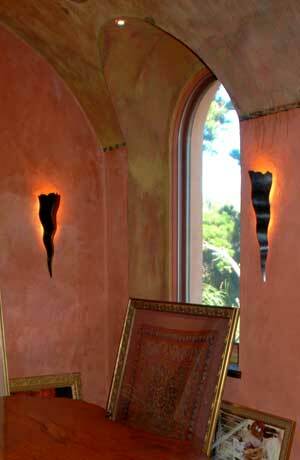 This sconce was designed for a large somewhat rustic dining room that had Persian and Mediterranean influences. 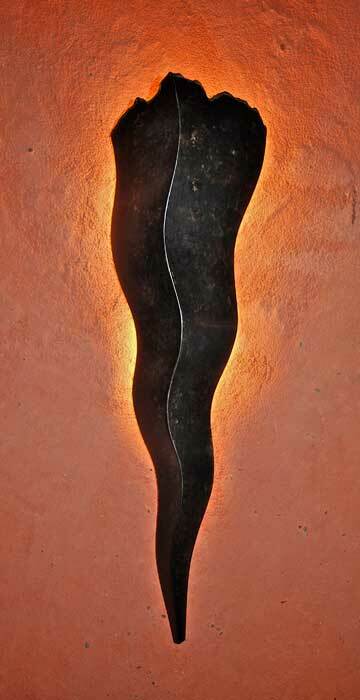 The sconce was meant to have medieval torch like quality at the same time maintaining a modern sensibility. 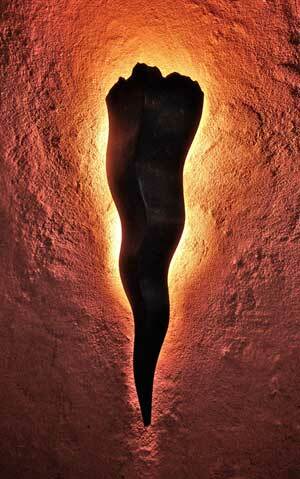 © Miesner Design 1975-2010, All rights reserved.